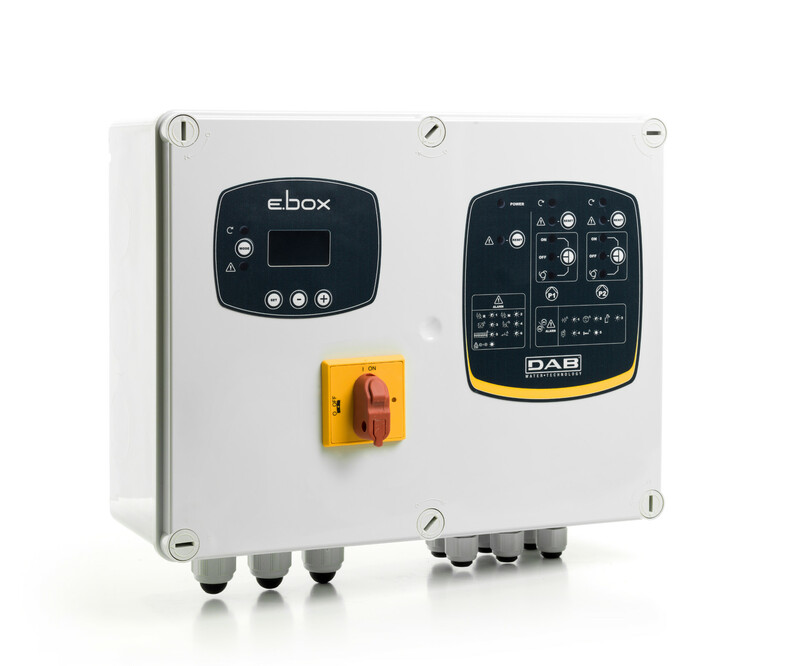 e.box plus is an electronic control panel for the protection and automatic operation of one or two submersible pumps or pressurizing both single-phase and three-phase, installed in domestic, civil and industrial environments. e.box basic is an electronic control panel for the protection and automatic operation of one or two electronic submersible pumps or single-phase pressurization for domestic applications. Max altitude max: 1000 s.l.m.